This is the home page of the Geometallurgy and Geostatistical Modeling Group at Queen’s University. © 2019 Geomet @Queen's University. 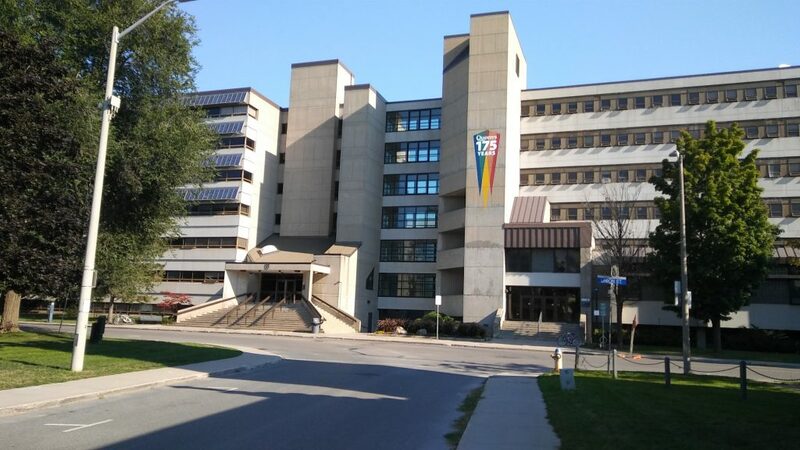 In this page you will find information about the Predictive Geometallurgy and Geostatistics Group at Queen’s University in Kingston, Canada. Check out the blog, where the latest presentations and publications are posted! The group is part of the Robert M. Buchan Department of Mining, at Queen’s University in Kingston, Ontario, Canada. The Department is located in Goodwin Hall. Kingston is known as the Limestone city, due to the limestone buildings, and was named the first capital of the United Province of Canada in 1841. It is located on the eastern end of Lake Ontario and is 2 to 3 hours away of Toronto, Montreal and Ottawa.